The Hottest Spot in Destin FL! Crab Island is the hottest social scene on the Gulf Coast! 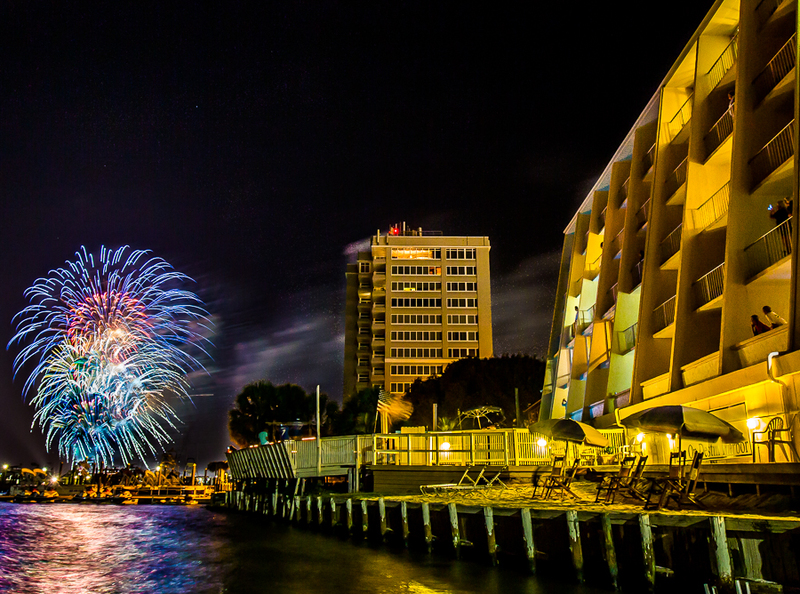 Nearly 1,000+ visitors enjoy music, food, and entertainment every Summer day in Destin, Florida. MyCrabIsland.com is your source for information about Crab Island Destin including how to get there and what to expect! Crab Island is a sandbar located just South of the Marler Bridge in Destin, FL. You may have seen it while crossing into Destin, or from 500ft up on a Destin Parasail tour. Crab Island started to gain in popularity as boaters used the area to moor their boats to catch rays and wade in the sand bar. 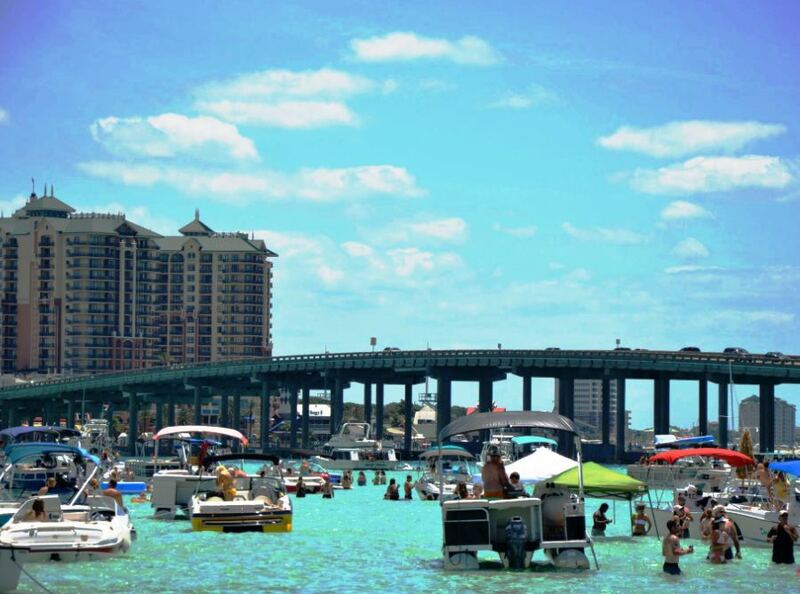 Now Crab Island Destin has erupted into a popular social scene where locals and tourists congregate! Crab Island cannot be accessed without renting/owning a boat, kayak or other watercraft. Let us recommend some options that will help you get to Crab Island Florida within your budget. Our sponsor TripShock offers easy online booking and discount to many Destin rentals and excursions. Where Can I Stay Near Crab Island Destin? There are a handful of great lodging options close by to Crab Island in Destin. Whether you're staying for the weekend or the entire week, there are hotels and condos that work great for all group sizes. From boat rentals to inshore bay fishing, Crab Island in Destin has the perfect activity for you! Check out one of the following featured tours at Crab Island Florida! 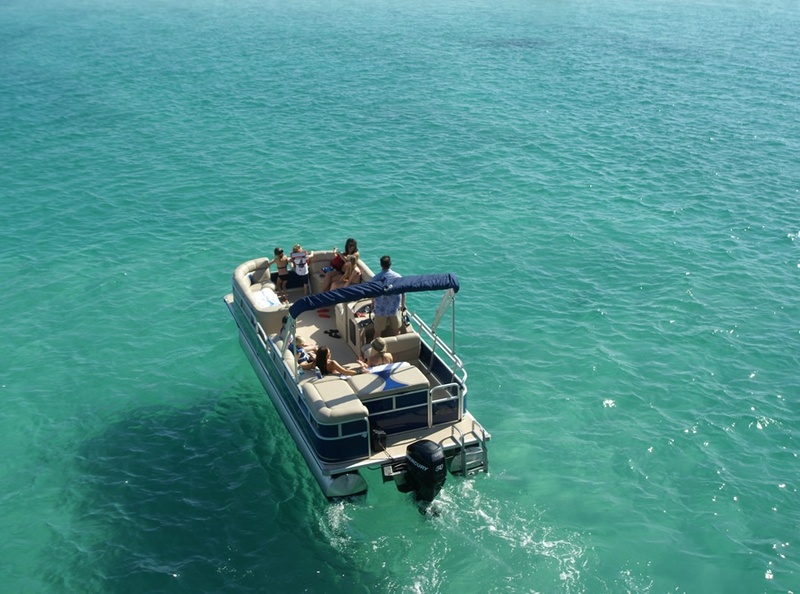 Rent a pontoon boat with Luther's Watersports in Destin for clean and comfortable boat. Book online now for best rates! Find rates for Crab Island Pontoon Rentals online. Take a round-trip ride to Crab island Destin! Enjoy swimming, snorkeling, and a relaxing cruise on a Crab Island excursion! Learn about this Crab Island Excursion online. Cruise the Destin waters on a guided waverunner tour! Ride through the Destin Harbor, Crab Island, and the bay while searching for dolphins and other marine life. Find low rates for a Destin Waverunner Tour.